Nearly 10 years ago, April Thomi faced the same dilemma as many high school students the world over. She was trying to decide where to go to college. April knew she wanted to farm. 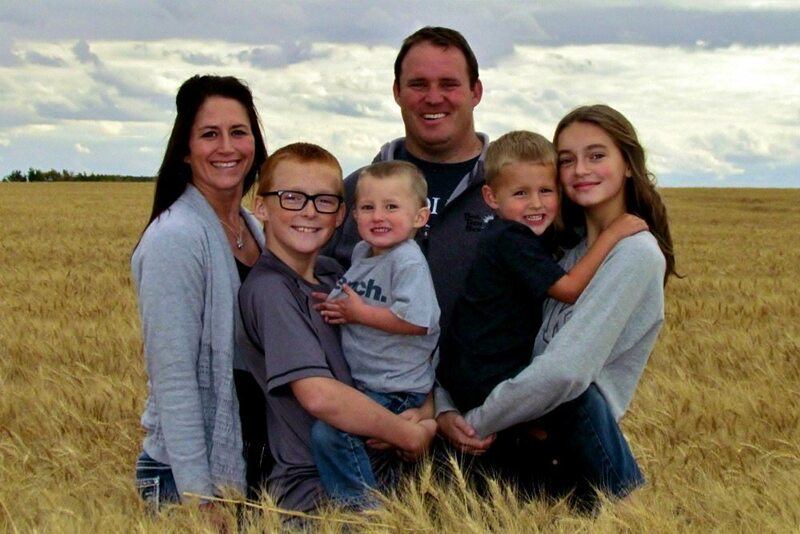 She had grown up on the Stanko family farm in southern Alberta, where her family had raised cattle and still grew grain on irrigated land, and for most of the farm kids in her area, it was a fairly simple decision to enrol in the ag programs at nearby Olds College or Lethbridge. But then April attended an open house at Vermilion’s Lakeland College, which is about 4.5 hours north of her home town. Lakeland offers two-year programs in crop technology and animal science technology, plus the option of doing an ag business diploma in the third year. April liked the campus, and the crop tech program appealed to her. The thing that really sold her, though, was the student-managed farm, which is a core part of the second year of the crop technology program. The student-managed farm not only gives students a chance to get actual experience at things like harvesting and marketing grain, it is also a good place to learn how to work together, April says. That’s largely because it’s a real farm, and it generates real revenue. “This isn’t a made-up situation,” April says. Today students in Lakeland’s sheep, dairy, beef and crop programs all have a chance to run student-managed farms. But the farm got its start as part of Lakeland’s crop technology program in 1990, where students apply the technical skills they learn in their other courses while running a farm business. 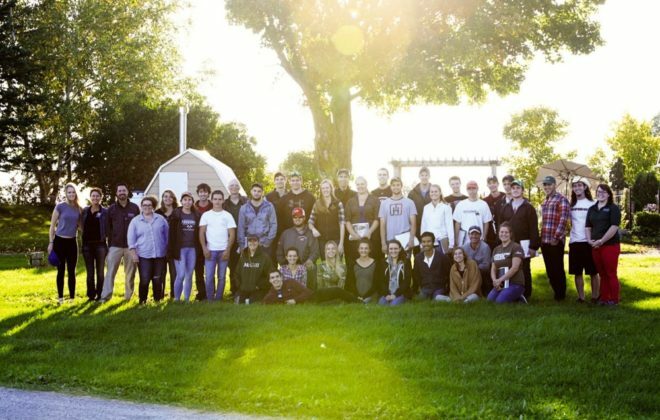 The farm is organized into several teams: operations, finance, production, marketing, stewardship and sustainability, communications, and research. And each team has a manager, with the farm as a whole overseen by a student general manager and assistant general manager. Importantly, students have to apply and interview for the management positions. Faculty and farm staff act as mentors for the students as they plan crop rotations through to harvest, and as they market grain, manage finances, and work with peers, advisers, and others in the industry to make sure the farm is profitable and sustainable. 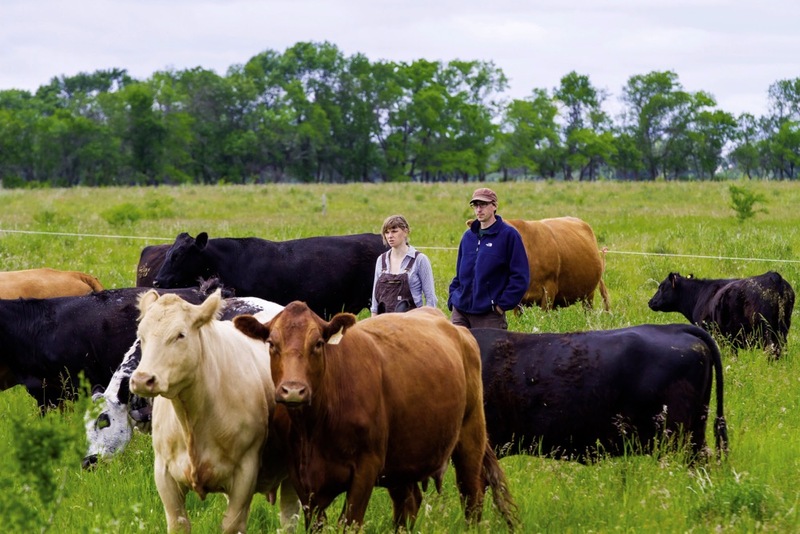 When it comes to the student-managed farm, “you want to make it the best year that they’ve had,” says Craig de Jong, who grew up on a farm northeast of Vermilion. Craig served as the operations manager in his second year at Lakeland, leading a team of five that managed harvest. It’s a job that saw him working hands-on with everyone in his class as they took turns running combines, driving trucks, swathing and monitoring bins. Having his peers invested in the farm’s success made his job easier, he tells me over coffee in the de Jongs’ kitchen on a cool spring morning. 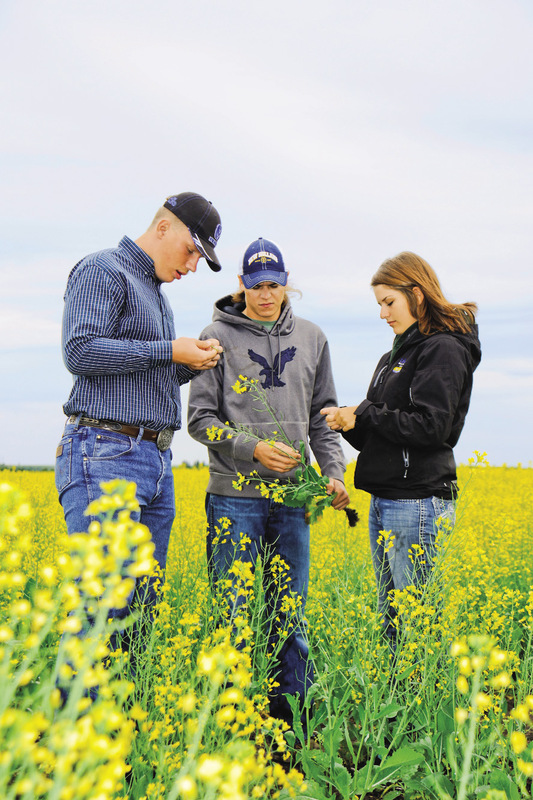 The student-managed farm isn’t just about hands-on technical skills. Craig says the biggest take-away was the soft skills. For example, the student-managed farm gives students a place to learn how to work out conflicts with peers. The need for professionalism when dealing with team members, especially in potentially tense situations, is one lesson that stands out in Heather Stanko’s mind, too. The youngest of the Stanko sisters, Heather was the production manager on the student-managed farm, and also worked for the de Jong family during harvest. A hurdle that stands out in Heather’s mind was the discussion around flax. The class “was pretty divided” on how to harvest the flax. Should they desiccate and straight-cut, or swath it? Some people’s families had experience growing flax, but Vermilion was in a different climate zone, so they had to talk through which harvest methods would work. There wasn’t a clear majority. In the end, though, they tried both harvest methods, she says, and the results were fairly similar. Lindsay Halyk, the middle Stanko sister, was head of the finance team during her time on the student-managed farm. Her team’s big hurdle was creating a break-even cost and yield spreadsheet. There was a spreadsheet in place already, but there was no way to reconcile the numbers and to audit yourself, she says. So the finance team created a spreadsheet that allowed them to correlate the numbers to invoices. It also broke down the costs for every field, showed whether the field was profitable, and calculated their break-even yields and prices. Lindsay came up with the idea for the new system, then brought in the other four people on her team. Two worked on the spreadsheet, and the others worked on QuickBooks. Together they made sure the spreadsheet and QuickBooks records were up to date so the numbers synced. For the past year Heather has worked as a farm hand for Stamp Seeds in southern Alberta. She’s done everything from combining to helping build the new seed cleaning plant. In many ways, the leadership and teamwork aspects of her job at Stamp Seeds mirror her experience at Lakeland. For example, Rick Stamp is the CEO of the farm, and his three sons are each in charge of a different area of the farm. 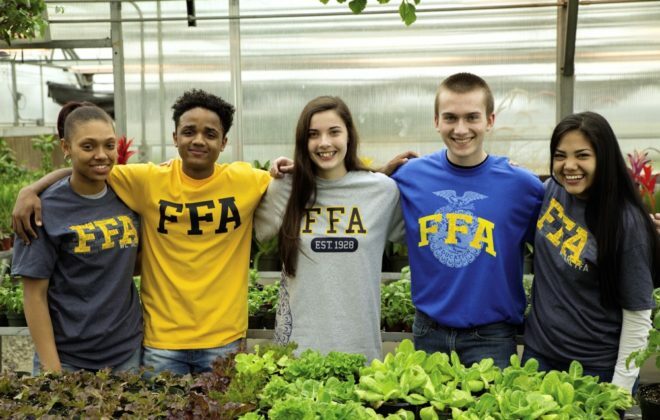 The farm employees work in different areas and report to different people, depending on the season and what needs to be done, in much the same way that students pitched in at Lakeland. Heather says it’s important to know what her tasks and responsibilities are, and to be given a chance to grow. During her time as production manager, she learned it’s important not to hover over people while they’re working. Now, as an employee, it’s rewarding to have managers who give her support and direction, but trust her to work without looking over her shoulder all the time. April was the inaugural operations manager at the student-managed farm. Generally her classmates were approachable and happy to pitch in. “Sometimes if I had a tough situation, I had a couple of go-to people,” she says. For example, if they had to haul grain over the weekend, she teamed up with a classmate from Manitoba who was usually around on weekends. Being a manager of a farm team at Lakeland presents an interesting dilemma. “You’re in a management position, but you’re also a peer,” says Craig. That made earning respect one of the biggest challenges, he says. One day early in the year he was looking for help, but couldn’t secure it, even though he knew people were around. The next day he had a talk with his classmates, told them something had to change. He didn’t have problems with people helping out for the rest of the season. Getting things in order right off the start was “terrifying,” says Craig, but important for anyone looking at management positions later on in life. That includes farmers who will be working with hired help. At interview time, Craig was hiring people for summer work. Because of his experience at Lakeland, he knows the right questions to ask, and how to deal with different scenarios that arise, he says. “It’s really easy to find drivers. But it’s really hard to find operators. There’s a difference,” says Craig. For example, a combine operator will check the back tank, notice any problems, and react appropriately, he says. It’s not easy to manage people, Lindsay says, whether those people are peers in college or hired staff. And managing people who need to be assigned specific tasks, rather than picking up on what needs to be done, is challenging, she adds. Lindsay learned to motivate people by setting common goals that everyone can work towards. It also helps to figure out what people’s strengths are, and put those strengths to good use. That goes not only for employees, but for farm managers. Lindsay and her husband, Chad, recently moved back to southern Alberta and are farming with Lindsay’s parents. Lindsay is strong in farm finance, so she’s handling the books. Meanwhile, Chad is strong in mechanics. Although Craig had to have that talk with his peers one day, he tried to keep his leadership style peer-based. He saw himself as more of an organizer than manager, he says. Organizing the class “was tough,” Craig says. He was tasked with organizing about 30 people to start harvest as soon as they were back to school in the fall. At first, Craig tried organizing teams and communicating by word of mouth. That didn’t work, so he set up shifts and rules for running equipment. He printed schedules for the class. After all, defined shifts work well for many types of businesses. 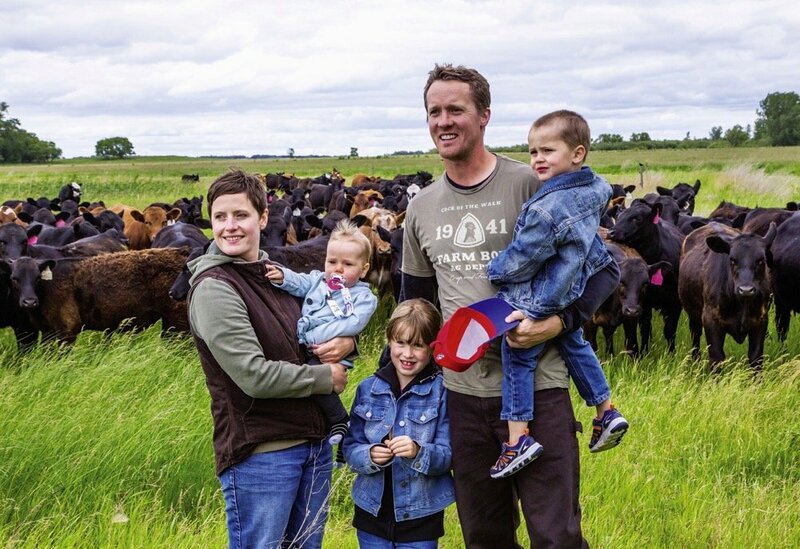 But when it comes to farming, it’s such a reactive occupation, “it’s really hard to set out a schedule to do that kind of thing,” says Craig. Fortunately, he adds, many of his peers were farm kids themselves, so they understood the need for flexibility. Craig also put together harvest teams, which included a production team member who would keep him informed. He also had a team member with experience on New Holland equipment, which they were running. Craig took into account class relations too, as he didn’t want two people who didn’t get along trapped in the combine together. That format had unintended consequences. One team of good friends wanted to finish harvesting barley so they could hang out. They finished the entire field in one night. Craig knew they had a problem when he got a message from them that evening, and realized they were still harvesting, even though he’d shut down for the night at his own family’s farm. When he tested the barley in the bin it was at 17 per cent moisture. “People need to make those mistakes to learn,” he says. The school didn’t have a dryer, so they figured out a game plan to rotate it and bring the moisture content down. Lakeland College’s program “gives you the confidence to be on a peer level with people in industry,” says Craig. Students attend industry meetings, for example. And practical tasks, such as booking inputs, also help. 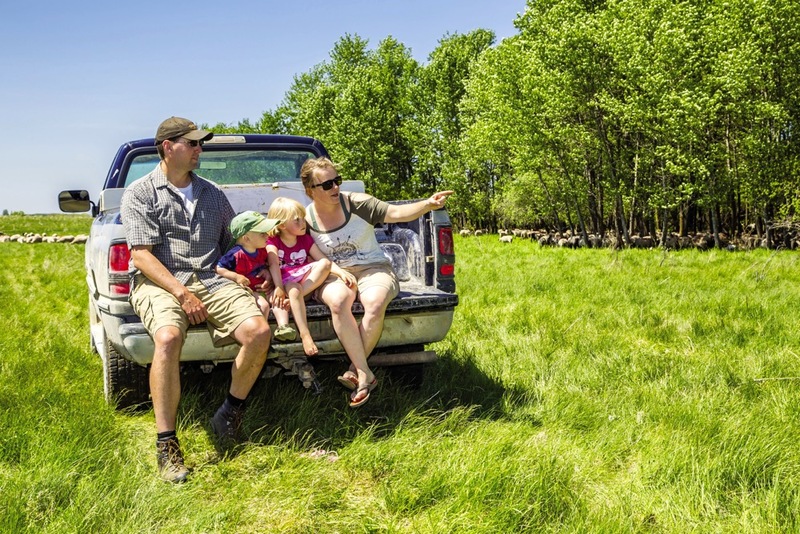 “It’s second nature for most people who have been running the farm,” says Craig. But booking inputs at college taught him what to double-check in the paperwork and who to talk to. Craig’s parents, Henry and Lillian, were impressed with Heather and the other college student they hired for harvest help. Between that experience, and what they saw their son learn, they would hire college students again. “Most of them have a head on their shoulders,” Henry says. Each spring, students present their plans, the outcomes of their decisions, and the farm’s finances in the college’s theatre. They take questions from the audience, which includes teachers, parents, and others from the ag community. And while it’s a celebration of sorts, anyone who has watched those final presentations knows the audience is not afraid to ask tough questions about the students’ decisions. Real people, real weather, real prices… the Lakeland project makes students take their textbook learning and apply it in the real world that farmers work in. In fact, Heather’s own father put her on the hot seat, she says. It’s a moment she recently reminisced about with the de Jongs. In fact, the student-managed farm also gave Heather a chance to talk farming with her parents. They talked about what she was combining, the weather, and the decisions the production team was making. On her father’s recommendation, she also called another farmer for advice on growing wheat for silage. As for Craig, he didn’t have any public speaking experience before starting the program. By the end, he was confident speaking on stage in an auditorium. And afterwards, he gave an alumni presentation to Bret Lieberman, vice-president of North America for New Holland, which is an industry supporter of the program. 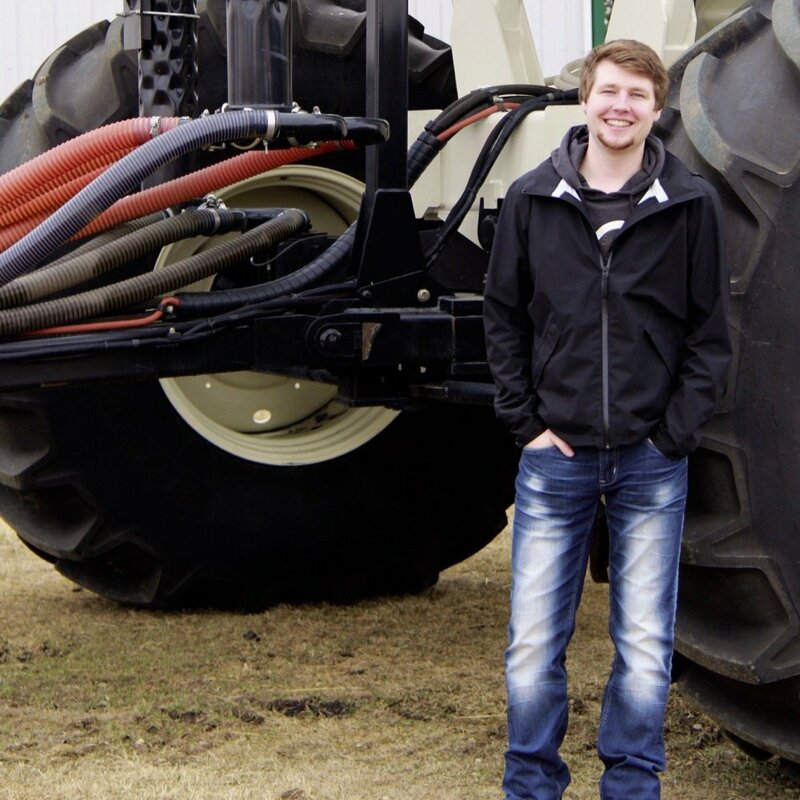 In the spring of 2016, after finishing his ag business diploma, Craig was farming with his parents full-time. 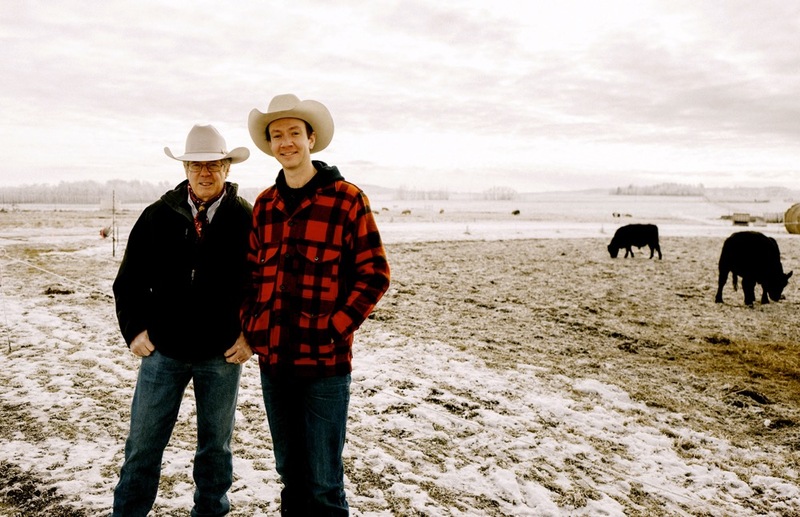 In a vote of confidence, Henry handed over the reins for spring seeding, and Craig and his cousin planted 4,600 acres in 24 days. That turned out to be a good move for her. As finance manager, she found she was really interested in the numbers. She learned about financial statements, break-even costs, and how to break the costs down per acre. She also learned how to incorporate those costs into marketing decisions, and she now handles the farm finances. Both April and Craig took a third year to learn ag business. Craig thinks that extra year spared him years of trial and error on his own. This year he’s setting benchmarks for cost-per-acre of different commodities on the de Jong farm. 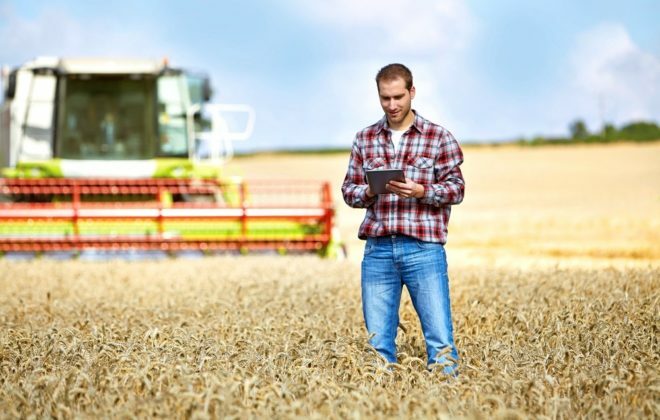 Those benchmarks will allow him to work through potential crop rotations, take into account different weather scenarios, calculate equity and balance sheets, and see if cash flow might be tight. Lakeland gives students an overview of how farming works, says April, and resources to turn to if they need more help. It’s not a one-size-fits-all situation, though. Students have to integrate their college experience with their farm and families afterwards. And each family farm is different. Today April farms with her husband Bruce (they met at Lakeland). They have their own land, about an hour north of Grand Prairie, but they work with his family. Bruce’s family has a different communication style, and a different way of looking at the farm’s future than her family, she says. But perhaps the biggest lesson from the student-managed farm is adaptability, something learned from overcoming unexpected challenges.